Report emergencies! Don't let electric garage door problems threaten your life! Garage Door Repair Odessa has the best means to deal with them in no time. We are expert garage door repair specialists and promise efficiency, punctuality and professionalism. We respond fast and we will be there for all emergencies! 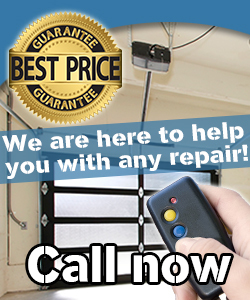 Call Garage Door Repair in Florida for quotes! Do you want an estimate for garage door replacement? Do you need more information about new panels? We have everything you need and also the expertise to provide full and exceptional installation, maintenance and repair services! Contact our garage door repair contractors today! You can either email or call! Ask about our procedures and rest assured that we have the friendliest customer service. We definitely guarantee same day inspections and repairs and promise to take care of all issues with efficiency and full devotion. Get in touch with us today! When it comes to garage doors, our distinguished company is the best option. We offer high grade garage door repair services and products in Florida. Our service base covers areas around zip code 33556. You can never go wrong when choosing us.